Hi I am Registered Childminder (with an NVQ3) living in Lightwater (nr Junction 3 of M3) I am married with 4 children (3 have flown the nest leaving my youngest still at home). I offer a warm and child friendly home. I worked with my eldest 2 daughters and have experience of being the "parent" so can view both sides of childminding. The children enjoy varies activities; music, toddler groups, ballponds, children centres, park, Legoland and more - all of which help them to develop their social, communication and learning skills of which is incorporated with the Early Years Foundation Stages. They all eat healthy home cooked food. My aims are to have a safe, caring and stimulating environment for my minded children and my objectives are to educate and help them to develop to their full potential in a home environment. Most importantly to care and love them. Apart from having 4 healthy and successful children of my own. I have worked as a childminder for 23 years and have gained a wealth of experience and knowledge along the way. I have excellent references of which can all be followed up. I have experience with newborn babies and children with food allergies such as diary intolerance and nut allergies. I have had experience with special needs children for example Down's Syndrome. Below are the latest reviews for Loraine Hall. Please note that reviews represent the subjective opinions of other Childcare.co.uk users and not of Childcare.co.uk. Parents must carry out their own checks and references on childcare providers to ensure that they are completely happy before enaging in the use of their services. She looked after the girls 3 days a week . I have been extremely happy with the care that girls received, and the great progress both had made whiles in her care, I could write a book about how great Loraine is...! Loraine's home is always welcoming , clean and organised and both girls had great fun playing with all the toys available and with the other children in her care. Beyond all this thought , it is Loraine's warm and friendly but no nonsense approach with sets her apart from other childminders . She provides a wide, fun range of activities including plenty of outdoor exercise. I know both my girls enjoyed drawing, sticking, reading and puzzles as well as outings to the park and playgroups, soft plays and many more . Loraine is a great communicator and had no trouble in gaining girls confidence and therefore encouraging good behaviour and kindness and compassion to others , both skills which are important to us at home. Although I provided food I know that Loraine was providing healthy snacks such as fruit and rice crackers . All in all I am thoroughly extremely happy with level of care both girls received. I am certain that being in such a positive and happy environment is helping my girls develop into a confident girls . I was so sad to lose her as our Childminder as we moved home . From the moment we met Loraine she was welcoming, friendly and full of life. Loraine looks after our 2 young sons full time (a 3yr old and an 11 month old). Loraine came highly recommended from a friend and it is a comfort knowing that our children and with her every day. They smile every morning when she opens the door and they happily wave goodbye as we leave them to their fun filled action pack day. They are happy healthy little boys and learn so much from Loraine and her family. Loraine is very driven and helps them progress through play and continuous learning. They have great appetites and Loraine even gets them to eat all their vegetables! What I like most about Loraine she is Mum during the day providing a balanced life for my children, disciplining them when needed, especially a lively toddler and very very loving. Sadly we are moving to the US and my only anxiety is that we can't take Loraine with us. I couldn’t recommend anyone more than Loraine to look after mine or anyone else’s children and we have been very lucky to have her in our lives. We are really going to miss her. Loraine has been looking after our 11 month old since I returned to work a couple of months ago and has been an absolute godsend. Our son was happy and settled with Loraine right from the first time he met her and this was at at time when generally he really wasn't happy or settled with anyone new! Since he's been with Loraine, our son's confidence has developed greatly which has been lovely to see. I'm completely comfortable leaving him with her as I know he's in a caring home, is very well looked after and gets to have adventures every day (his days with Loraine sound so much more fun than my days in the office!). Absolutely gutted that we're moving away and so no longer able to use Loraine for childcare. My 2 year old son loves Loraine! As do we! When we were looking for childcare our top priority was finding a home from home for our son. We wanted him to be happy, well cared for and enjoy lots of experiences. Loraine has provided all of this and more. It's a big relief to know that our son is so happy and settled. Loraine has made us all feel very welcome and part of her family. I would not hesitate to recommend her. Loraine provides an excellent caring environment for our son, it really does feel like a home from home and that he is part of an extended family with lots of stimulation and contact not just with the younger children in her care but with Loraine's own children. He clearly enjoys his days there and barely gives me a backwards glance these days, just a brief blowing of a kiss and he is off playing. 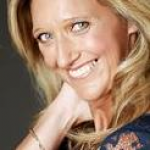 Loraine is also very supportive in providing advice and insight into the range of issues that arise with the upbringing of a toddler - sleep, behaviour management, social and learning issues etc, she is a valued support all round. Loraine is also very flexible and considerate in making day to day arrangements and thoroughly approachable. For us, Loraine and her family provide an excellent place for our son to be cared for, to grow and play. We would highly recommend her child minding services.